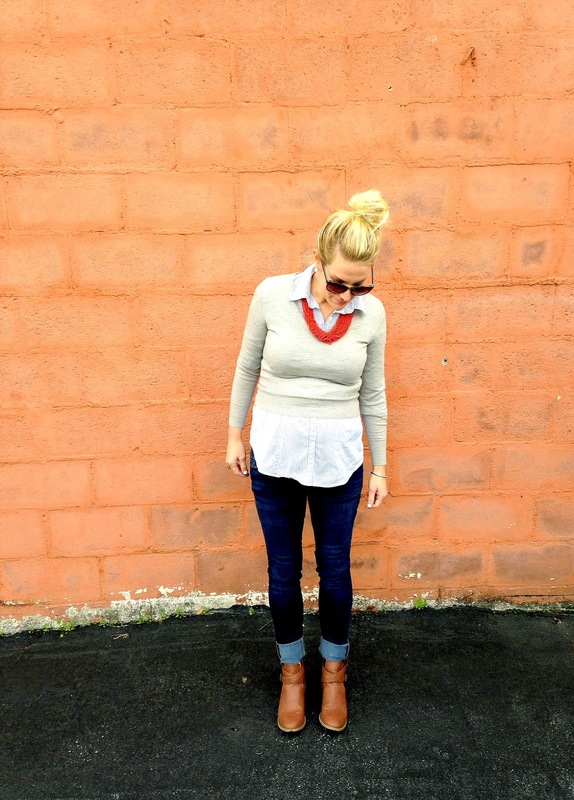 My good blog friend, Kristen, is doing a fun November blog challenge. Monday's prompt was to post 30 facts about yourself....so while I'm a few days late, and 27 facts short...here are 3 fun facts about me. *I currently have 4 notecards of different to-do lists on my desk right now. One for the boys, one for Relief Society, one for the house, and one of random things that didn't fit in with the other notecards. *Sometimes, when I'm in need of a break or a breather, I go to Pinterest, click on "humor", and spend way too long scrolling through, laughing at all the hilarious memes. Growing up my mom aaaaaalways asked, "Children, what instrument is this?" Even now that we're all grown, when we come home she still asks. I love that you do that, too!! I do the same thing with Pinterest! You are looking gorgeous!!! Aaah give me your flexibility!!!! Pinterest is just a great way to make me smile! Love that last picture, so funny! I need to be organized like you and have notecards of to-do lists-new goal for the week! So many to do lists- story of my life. Suuuuuuch a cute outfit! 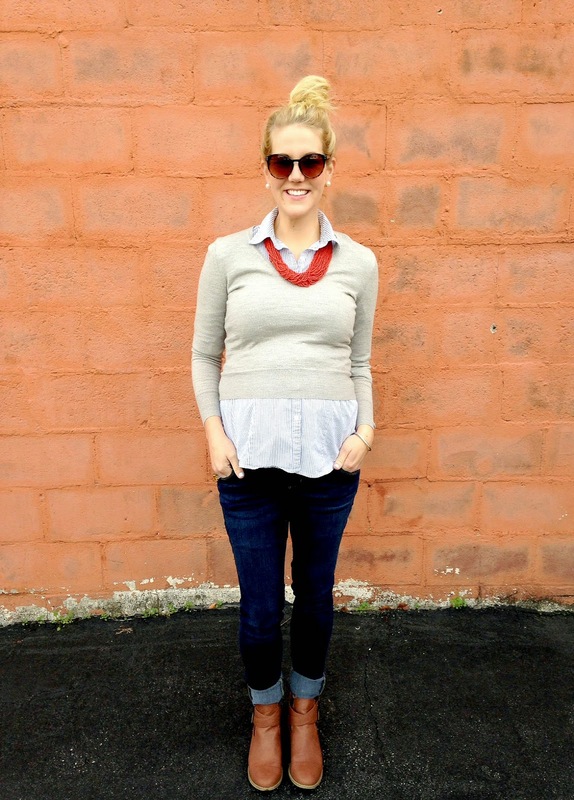 Love the idea of a working a crop sweater over another top while pregnant. So cute. And I have 5 separate to-do lists on my desk right now - I love lists but I love keeping them organized! Note card to-do lists for different parts of your life is SO smart. Mine's all jumbled w/ everything, I can definitely see the appeal of that. Your outfit is adorable, especially against that pretty backdrop!! 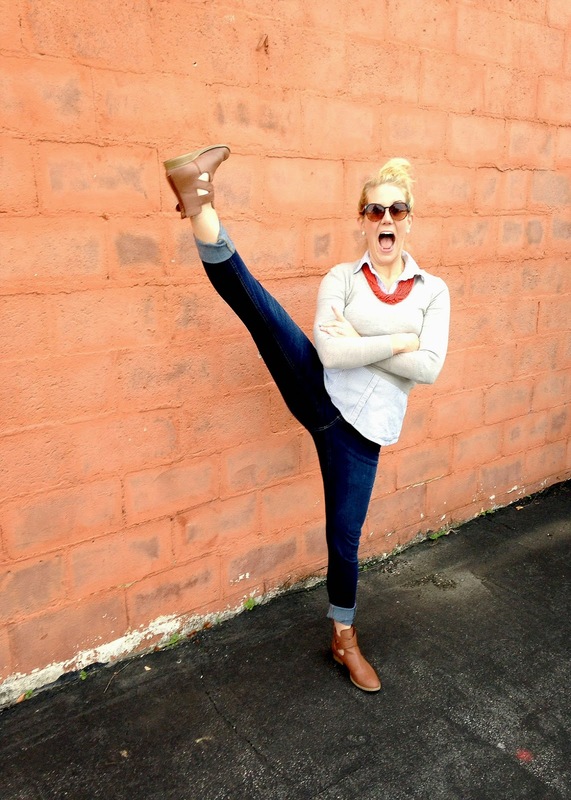 Um, you forgot that you can HIGH KICK with a pregnant belly and look cute doing it! On a serious note-- that second picture might be my favorite "belly shot" of you yet!!! On a funnier note? That last picture is amazing... I think Noel should frame that. LOL hilarious. Girl!! Look at you with that leg in the air! I can't even do that now, let alone when I was pregnant?! 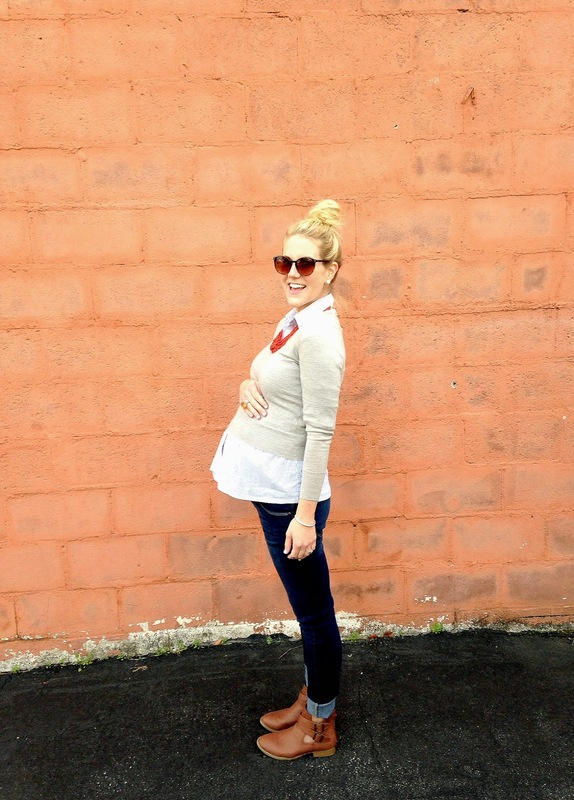 You are rocking this pregnancy!! I grew up on 80's rock and it still holds a special place in my heart :) ha ha!